Searching for ways on how to avoid heart disease shows a strong desire to either help yourself, or someone near to you. To search for natural ways to avoid heart disease shows a willingness to take responsibility for your life and to put in the necessary steps to ensure good health. The heart is a very important organ of the body, not least because it acts alone. It has no other back up source, as the lungs or kidneys have. 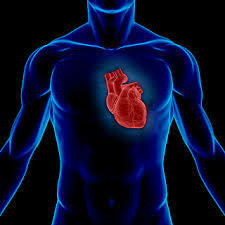 The heart is not simply a physical organ responsible for pumping blood around your body, important though this is. The heart is a complex physical organ and metaphysical ‘organ’ rolled into one. The heart chakra is where we feel love. Real love is not an emotion. Real love is not dependent on what others do for us. It is an expression of purity, of seeing the beauty in others, perhaps in spite of their actions. Real love has no judgement. Real love takes us beyond the three dimensions we currently call life. This means that as a physical organ, non-physical events affect the health of the heart. First, lets look at the physical things that affect the heart, as these are areas most people have control over, so can improve. Diet is one of the most potent areas to affect the heart. Processed food, fast food, junk food, diets high in animal protein, diets low in fresh produce all spell death to the heart. These diets and foods are nutrient deficient and/or destructive to health. The heart works hard. It needs proper nutrition for its work. Weight is important for the amount of work the heart does. The more weight you carry, the more work your heart has to perform. ALL THE TIME. This means your life expectancy can be lower than optimal. Exercise is necessary to ensure all the workings of your body are in fine fettle. Increasing the blood flow, flexing the muscles and increasing the heart’s rate for short periods in effect ‘oils the wheels’. It keeps everything in working order. If you simply improved on these three important physical areas, the chances of a chronic heart disease would be greatly diminished. Not only would you be more likely to live longer, but your overall health is likely to be much better. Different heart diseases can have different effects on us, but it still comes down to the health of the heart. If your life style choices show little regard for your overall health, then it is unlikely that you will have a healthy heart, whatever the doctors label it. Whatever your family history. Apart from the physical improvements you can make, what other areas can you do to avoid heart disease? There are two important non-physical (or meta-physical) areas that contribute to diseases of the heart, about which most people are blissfully ignorant. The first is judgement. Most people are involved in some sort of judgement of others. This judgement has its cause in our own lack of self-worth. When we are judging others, we are placing blame on them. This means we are not looking within, which is where all our problems reside. Judging and blaming others is the antithesis of compassion. It lacks love. If we lack love for others (I’m not referring to their actions, just their core identity), then we lack self-love. Of cause this affects the heart. Of course this can lead to any disease of the heart. When we stop judging and blaming others, we can feel it affect the heart. There is a blossoming of a feeling that can bring deep joy. The second metaphysical cause of heart disease is suppression. Suppression occurs when our body, our mind, our spirit and/or our emotions are not allowed to develop to their natural abilities. This can come from medicine which denies the body proper expression of a problem. It can come from excessive control of parents/society/religion/culture which can crush our spirit. It can come from approbation, or a lack of encouragement or praise. All this is especially true in children, which can prevent their natural development. In effect, they remain stuck in that scenario their whole life. When you are suppressed, you cannot function to your potential. This can lead to frustration, depression or mental illness as there is an inner conflict with what you want against what you are permitted. Whilst the three main physical ways to avoid heart disease are within your hands to act upon or not, the metaphysical ways are much harder for you to implement. Past suppression, whether physical or emotional are much harder for you to undo. This is where the wonderful natural discipline of health care, homeopathy, comes in. Good homeopathic treatment works at an energetic level, not just undoing past hurts or freeing the suppression. It works by supporting the natural abilities of the body so that it is now back into full strength. This natural ability of the body to heal is formidable and restoring it to its full capacity can have a life changing healing affect. I hope I have given you new ideas on how to avoid heart disease, which will not just benefit your heart, but your whole health, your whole life. I hope that some scales may have fallen from your eyes, opening up new possibilities you never knew were there.